The London derby this time will be held at the Arsenal arena, which in the current championship intends to win high positions in the Premier League. In the confrontation with Tottenham Arsenal, it is necessary to win, then everyone will be able to see that Unai Emery wards are ready to make loud successes. The Spaniard has not had time to rebuild the team under his tactical vision, but this process in Arsenal is in full swing. Now Arsenal occupies the fifth place in the Premier League in the standings, but the lag behind the third place is only 3 points. A pleasant moment for Emery's players is the fact that Arsenal in the championship has not lost 11 matches in a row. Unai Emery is actively pursuing the search for the ideal tactical scheme for the existing selection of performers, and the Spaniard often rotates the players. Judging by the matches played in the current season, the leaders of Arsenal are such players as Aubameyang, Lakazette, Djaka, Mkhitaryan and Mustafi, who are often among the best players in matches with the "Gunners". Wards Pochettino dream of a champion title, but the reality now is that Tottenham can get gold only in case of a clear failure of the City, Liverpool and Chelsea, which look too cool this season. Tottenham is now in third place, 5 points behind the leader, and the prospects of the "spurs” will be decided in such matches as the confrontation with Arsenal. Tottenham's great advantage over many other teams of the Premier League is the teamwork of the composition of this London club. Tottenham has been playing with this line-up for about three years (with minimal changes), and the qualitative interaction of the players is immediately visible. Also, the team now clearly highlights several leading players who make the weather on the football field - Eriksen, Alli, Kane, Moura, Trippier and Lloris. Plus, the head coach's persona is for Tottenham a defining moment for achieving successful results of the season. In this match, bookmakers do not single out an obvious favorite, giving the teams approximately equal chances for success: Arsenal win for 2.59, draw for 3.66, Tottenham win for 2.78. The light advantage of Arsenal is dictated by the factor of native tribunes. Popular totals have received the following coefficients from the bookmakers: "total is over 2.5” for 1.61, "total is less than 2.5” for 2.49. Contrary to the opinion of many, matches involving Arsenal and Tottenham are held with low performance indicators. Thus, the teams confirm the pragmatic status of this match, which is of great importance for each team. And from the point of view of betting, the choice is better to do in favor of low performance indicators. 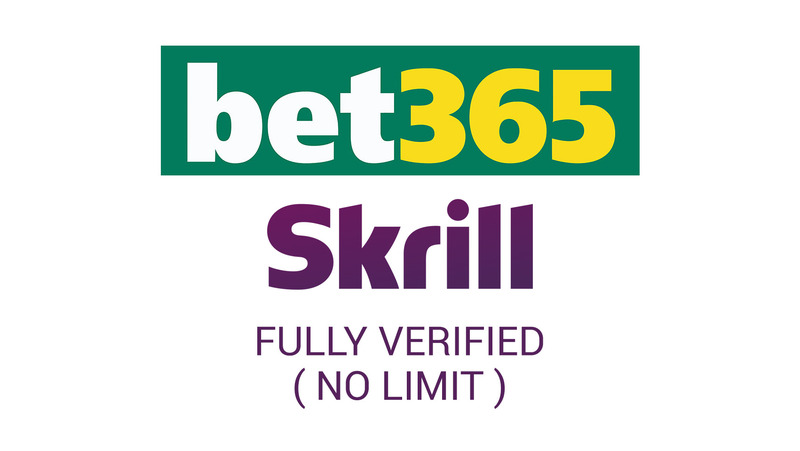 Bet: Total less than (3.5) - 1.55.Next Sunday, the fourteenth round of the regular English football championship will find its logical continuation. All three matches that will be held on the reporting day deserve our personal attention. As you may have guessed, in this article we will talk about the confrontation of two London teams - Arsenal and Tottenham. The battle will take place at the Emirates Stadium. Capital derby is interesting in any scenario, but here the tournament motivation also interferes. Rivals compete for a place in the top four. This trivial fact turns the battle into the central sporting event of the day. We will not define a favorite, because in this kind of matches the balance is somewhere in the middle. At 17:05 Moscow time you should already be sitting in front of the monitor. At the international break, the London team left in a contradictory mood. The guys from the third to the eleventh skated three world. Already after returning from a kind of leave, I managed to break away. On the twenty-fifth of the day, the guys beat Bornmouth hard in the enemy’s territory with a score of 2: 1, and four days later the Poltava Vorskla was defeated in Kiev. The tournament situation for Emery and his guys is promising. After idle last season there are chances to break into the zone of the Champions League. After thirteen played tours, our today's heroes have twenty-seven points. The result corresponds to the fifth position. Fans of the Gunners are eager for their pets to return to such a native fourth line. The gap from London Chelsea is only one point. It is difficult to envy the "spurs", because now they have a schedule even more tightly than Santa Claus on the eve of the new year. In the last round of the domestic championship, the guys got a handle on Chelsea. Already by the sixteenth minute, the "spurs” were 2-0. Allie and Kane were noted. At the beginning of the second half, the "cockerels” brought the score to crush thanks to the solo pass of Sona Heung-Ming. Only the WORLD CHAMPION Olivier Girou managed to soak the score in the eighty-fifth minute. Four days after the reporting duel, the guys met with the Milan Inter. In that battle, we managed to preserve the chances of reaching the playoffs of the championship league. Eriksen's only goal in the end of the match extended the intrigue. Now you need to win Barcelona in the last round. On the domestic scene, the guys collected thirty points, which corresponds to the third position. The gap from the leader is five points. In this sparring it is really difficult to determine the winner, therefore, we suggest to go a different way. Both teams in eight of the thirteen cases played through a total of more than 2.5. There are reasons to believe that the tradition will continue in the next round. On Sunday evening in London, the central match of the 14th round of the Premier League will take place - Arsenal will take Tottenham. Last season, these teams exchanged "dry” home wins - 2: 0 and 1: 0. I wonder what awaits us in the new season? Tottenham demonstrates good football in the national championship, so he deservedly is the 3rd team of the Premier League. So, for 13 fights, Pochettino's charges extracted 30 points - 10 wins and 3 losses, with a total score of 23:11. Yes, on Wednesday the Spurs had a difficult home match between the Champions League and Inter, but before that (on Saturday) the team beat Chelsea - 3: 1. Free prediction for the match Arsenal - Tottenham: "Tottenham's victory or a draw." At such an outcome bookmaker 1hBet offers a factor of 1.59. The central match of the 14th round of the Premier League, and possibly the whole weekend in Europe, will be a duel between Arsenal and Tottenham. In this pair, the bookmakers have not identified an obvious favorite, considering that the opponents have approximately equal chances for success. We can agree with this line, given that Arsenal plays well in native walls, and Tottenham is in a stunning athletic form. After the international break, Arsenal spent two matches and both won them, first at Bournemouth 2: 1, and after, in Poltava at Vorskla 3: 0. The results are good, it is obvious that Arsenal is preparing not just to give battle to the "spurs”, but to win a home game with a competitor. It is worth recalling that the "Gunners" are on the fifth line in the table of the Premier League, inferior to Chelsea, located in the TOP-4, one point. Tottenham, having won the Inter Milan inter Milan in the Champions League, won the sixth consecutive victory. After a pause on the games of the teams, the "spurs” except Inter proved to be even stronger than Chelsea 3: 1. Both of these matches were not easy, in both the squad Pochettino played at 100% capacity. There are doubts that for the third consecutive match of this level the "males” have enough strength. The second number will please the central submarine duel, because Arsenal and Tottenham will meet on the field. Last season, the teams delighted home triumphs. What are we waiting for now? Let's figure it out. The Gunners earned 27 points, so they are fifth. Emery players won 8 times, three more matches ended peacefully and two losses with a total score of 28:16. Recall that on Thursday the team held an away match of the LE against Vorskla, in which they managed to win - 0: 3. "Spurs" spend a good game year, and have already pulled out into third place, because the account of the club has 30 points - 10 victories with 3 fiasco. On Wednesday, it was not a simple confrontation between the Champions League and Inter, but before that Chelsea was defeated - 3: 1. Forecast for the match Arsenal - Tottenham, X2. Considering the guests' playing tone, it can be assumed that they will look better. In addition, rested "spurs" for a day more. Most likely, that Pochettino players will be able to get at least 1 point. The central match of the fourteenth round of the Premier League will take place at the Emirates Stadium, where they will meet two principal rivals in the London derby, who are now in great shape. Arsenal scored 27 points and now ranks fifth with a goal difference 28:16. In the previous round, the Gunners did not easily beat Bournemouth 2: 1, and before that there were three draws in a row - with Wolverhampton (1: 1), Liverpool (1: 1) and Crystal Palace (2: 2). On the eve of the wards of Emery in the training style defeated 3: 0 to Vorskla within the framework of the Europa League. In turn, Tottenham with 30 points and statistics of balls 23:11 is third. The Spurs now have a three-match winning streak in the Premier League, during which they defeated Chelsea (3: 1), Crystal Palace (1: 0) and Wolverhampton (3: 2), before giving way to formidable Manchester City with a score of 0: 1. On Wednesday, Pochettino wards with a minimum score of 1: 0 coped with Inter. Both teams have about the same chances for final success. Perhaps, in the game plan, there is a slight advantage in Tottenham, so guests are unlikely to be defeated. The central duel of the tour will take place at the Emirates, where Arsenal takes Tottenham in the London Derby. We are waiting for the canceled battle of two irreconcilable rivals! Let's start with the recaps. At the home team questionable participation Lakazett, who missed the last round. The guests returned Vertongen, but will not play Tripier. Questionable participation Lamela. In principle, the compositions should be fighting. In the form of "Gunners" do not lose now 18 games in a row. In the beginning, they lost the City, then Chelsea away. But then this Arsenal was only being built, then Emery instilled his vision and plans and went away. In the last round, they beat not just Bournemouth at a party, then Vorskla was slapped in the LE, playing with the line-up closer to the third. There are no questions to the form of "gunners". They look very solid. There were misfires, when draws from KP, with "wolves” rolled up, but apparently the games for national teams came to the place, and Arsenal started playing again not very badly. Tottenham is good too. Won "Spurs” 6 of the last 6 games. The last two were the hardest, but managed to beat Chelsea first, and then Inter in the Champions League. Home indicators of "spurs” began to improve, they really began to play a lot at Wembley, but I don’t really like visiting. In fact, only Inter, who lost, was among the serious rivals. M. Yu is not stable, and failed. There was a match with Watford, but even with KP or "wolves”, the "spurs” could remain without victories, but they were very lucky. With defense, not all good, again. Pass is not enough. 2 were scored by wolves, PSV, hornets and the same Inter. And Liverpool and Barcelona scored 2 goals minimum. The game of two equal rivals at the moment, but here, emotionally, "spurs” can burn out. They won two very challenging and emotional matches. Especially with Inter in the Champions League, where they scored a goal in the very ending. It is also worth noting that TTX played the basis, and Arsenal Best 11 left at home and played a reserve. Moreover, at home, the Gunners lost 1 of 25 home games with Tottenham, including Cups. A priori for the "spurs”, the "gunners” are an uncomfortable opponent. And then the battle for the Champions League, where teams are separated by 3 points, the motivation will go off-scale. Riding teams. Both. Arsenal Emery does not like to play grass-roots football, football players crave victories and get into the Champions League. More Arsenal scored only MS Plus at home, and will be fresher than their counterparts. Even for a couple of days of rest before such an important event will benefit the home team. Guests are systematically mistaken on the back line, and yet in the last games they had to not just. I do not believe that the hosts will lose here, but rather a victory in a horse battle. Former Spartak midfielder and the Ukrainian national team, and now Maxim Kalinichenko, an expert at the AllProSport.ru website, shares his forecast for the English Premier League match Arsenal - Tottenham. Arsenal will try to take revenge for the past defeat at Tottenham. Both teams have not lost for a long time and are fighting for European Cups. "Gunners” do not know defeat for 18 fights in a row. Even in spite of this amazing series, they go only on the fifth line and continue chasing the four of the strongest. Victoria over Vorskla (3: 0) ensured an early hit in the playoffs of the Europa League, although it is difficult to call it the maximum task of the London club. From the middle of August, the "gunners" only in four games lost points. The Spurs won six games in a row, and their victory over Chelsea (3: 1) took them to the third position. Until now, they are the only team in the Premier League, which has never played a draw. Team Mauricio Pochettino beat Inter with a score of 1: 0 and surpassed him in the fight for second place in the Champions League quartet. Participation in the meeting of Trippier, Lamela, Sanchez, Vanyama and Dembélé is questionable. Unai Emery’s team has slowed down a bit lately, but is still in a good mood. It may be a very open game today, but in my opinion, the teams are approximately equal. Guests are a little more experienced, but the factor of their field on the side of the hosts. The central duel of the 14th round of the English Premier League will be the duel of "Arsenal” and "Tottenham”. We offer our forecast for this confrontation. A large number of losses before the pause at the League of Nations could not fail to be displayed on the position of Arsenal in the table. The Gunners played three draws in a row, losing points with Crystal Palace (2: 2), Liverpool (1: 1) and Wolverhampton (1: 1). Because of this, the "gunners” are now only fifth and are already eight points behind the first Manchester City. However, after the matches of the national teams, Arsenal began to win again. Unai Emery's team defeated Bournemouth (2: 1), and defeated Vorskla (3: 0) in the Europa League. The most interesting thing is that Arsenal is now playing a little better on the road, although it was the opposite at Wenger: excellent results at home, and worse on the road. In the previous five home games, Arsenal did not miss only from Sporting. Two important players are injured at Arsenal: Nacho Montreal and Danny Welbeck. Tottenham Hotspot is generally on the move. For the first time this season, the "spurs” remind themselves of the pattern of the past season and look powerful enough to fight for high positions. Mauricio Pochettino's team fits the match with Arsenal with a series of six victories in a row. Moreover, in the last matches, Tottenham won Chelsea (3: 1) and Inter (1: 0). Also throughout this series, the Spurs beat West Ham (3: 1), Wolverhampton (3: 2), PSV (2: 1) and Crystal Palace (1: 0). Such results naturally brought the Pochettino team to the third line of the championship. Three important players are injured in the team: Davinson Sanchez, Moussa Dembélé and Victor Vanyama. Arsenal unbeaten run has already reached 18 matches. Home "gunners” did not miss only one of the last five fights. Tottenham won six past meetings. On the road, the Spurs won five previous matches in the Premier League. Recently, these teams exchange victories or play in a draw. Last season Tottenham won a home win (1-0), but lost to Emirates (0-2). Tottenham has failed to defeat Arsenal at a party since 2010. During this time, the Spurs lost five matches to Emirates, and the draw made three matches. Tottenham had one more day to rest after an exhausting Ligo-Champion match with Inter, but Arsenal fielded a semi-reserve squad for the Europa League. However, it is unlikely the team Emery will be easier. Tottenham Hotspur scored a good move and confidently performs even on the road. Harry Kane was doing it again. But Pochettino's charges are not so good in defense (only two dry matches of eight previous ones). Given all the above and a good game of Arsenal in the attack, you can wait for goals from both sides. Although the total result of the match is unlikely to be too productive.